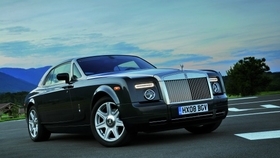 A Rolls-Royce Phantom starts at $990,000 in China. Despite this high price, new customers must wait six-months for delivery. SHANGHAI (Bloomberg) -- China will become Rolls-Royce's biggest market, surpassing the U.S., as early as next year. The British ultraluxury brand, owned by BMW AG, plans to sell 800 cars in China in 2011 as it aims to raise sales eightfold in two years in the world's largest auto market. Rolls-Royce sold about a third of its cars in the U.S. in 2009. The automaker delivered almost 500 cars in China in the first 10 months of 2010, compared with about 100 for the whole of last year, Paul Harris, the company's Asia Pacific regional director, said in an interview. Rolls-Royce includes Hong Kong in its China sales. The exclusive marque, which competes with Volkswagen AG's Bentley and Daimler AG's Maybach, is selling more of its Phantom and Ghost sedans in China as rising incomes in the world's fastest growing major economy boost sales of luxury cars. China has 875,000 millionaires, 6.1 percent more than last year, according to a report in April by the Shanghai-based Hurun Research Institute. A Rolls-Royce Phantom starts at 6.6 million yuan ($990,000) and buyers pay 4.1 million yuan for a Ghost in China where consumers pay higher taxes on imported luxury models. In the U.S., the Phantom starts at $380,000. BMW bought the rights to Rolls-Royce cars for 45 million pounds ($70 million) in 1998, and opened a new Rolls-Royce factory in England in 2003. Rolls-Royce may add as many as four more dealers in China by the middle of next year, in second-tier cities such as Tianjin and Wuhan, Harris said. The Goodwood, England-based carmaker, headed by CEO Torsten Mueller-Oetvoes, currently has eight dealerships in the nation. The latest Ghost model, introduced in December, has boosted growth for the exclusive marque after the financial crisis depressed sales 17 percent in 2009. Rolls-Royce delivered 2,007 cars through October worldwide, already surpassing the record since BMW took over of 1,212 in 2008, and 1,002 deliveries last year. The Phantom comes with a 6.75-liter engine and soft leather upholstery as standard. An extended wheelbase version of the Phantom costs 8.2 million yuan, the company said. Imported luxury cars cost more in China than in countries such as the U.S. as the vehicles are subject to high import duties and consumption taxes. An imported car with an engine bigger than 4.0 liters will face an import duty of 25 percent, value-added taxes of 17 percent, and a consumption tax of 40 percent, according to researcher J.D. Power & Associates. Chinese customers ordering a Phantom now will have to wait until late May next year to receive their cars, Harris said. “It's a story of success for Chinese entrepreneurial businesses, the Chinese entrepreneur works hard and wants to reward himself for a job well done,” he added.